how cute and fun are these?!?!? I really like their subtle beauty and simplicity. Small world, the seller Corine Grant - actually is from my hometown SD...same HS and extended group of friends! Check her out here! Haha... we went to HS together? Small world, eh. Glad you like the bracelets!! I am almost positive yes! 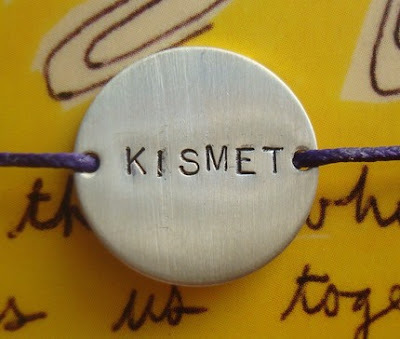 I found you via To-Knees blog a long time ago.....And I despartly need to order some bracelts!